Cyrsti's Condo: Spindled and Mutilated? 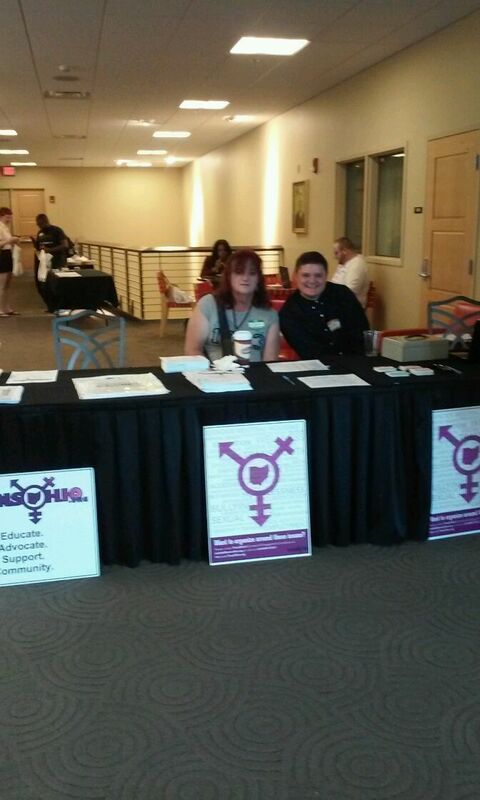 As I have written in a previous post about our Trans Ohio Symposium weekend, the impact of ally's this year was the biggest surprise to me. Of course the cynical side of me thought "well they only came to see the freaks in the zoo." Again, of course-none of that was true. I believe many did/do wonder what does make a transgender person "tick." I can tell you I have never had that many strangers reach out to me with a mixture of kindness and sympathy which truthfully made me feel a bit guilty. After all, I have pretty much come to terms of what living a transgender life means to me. Selfishly I thought, where the hell were you when I needed all of you?? In my opinion there are several reasons. The younger the participant this year, the more gender "labels" they could and did use on themselves. The future is bright. On the other end, I met two "Jacks who became Jill's" and became giant "Jackasses." Finally, there are the stealth dwellers who don't see the need to attend for any number of reasons. Maybe they have another closet to come out of these days or like the "Jackasses" I met-don't give a horse's rear. To be sure, many deep questions still to be answered. In a couple weeks or so, the Symposium "powers to be" will be sending out survey's. Of course I already have a few suggestions to address broader questions in at least areas which effect trans women-if any more show up next year. Then again, more might with a bigger agenda. Plus, those of you who have ever dealt with a volunteer organization, the rule of thumb is "That's a great idea! YOU do it!" I also think it is tough because the Trans Ohio Symposium does not do double duty as a "get away" weekend for questioning cross dressers seeking to explore their feminine sides. No organized drag shows or "pub crawls" are part of the weekend. What you see is what you get-knowledge. The good thing this year was again I learned much more than I ever even thought I knew. The picture above is yet another "attempt" at a better than average picture from either of our camera phones. The guy to my right is Lachlan a transman. I think we all know by now pictures are not my forte anyhow! Lachlan was delightful as we registered attendees on Friday.